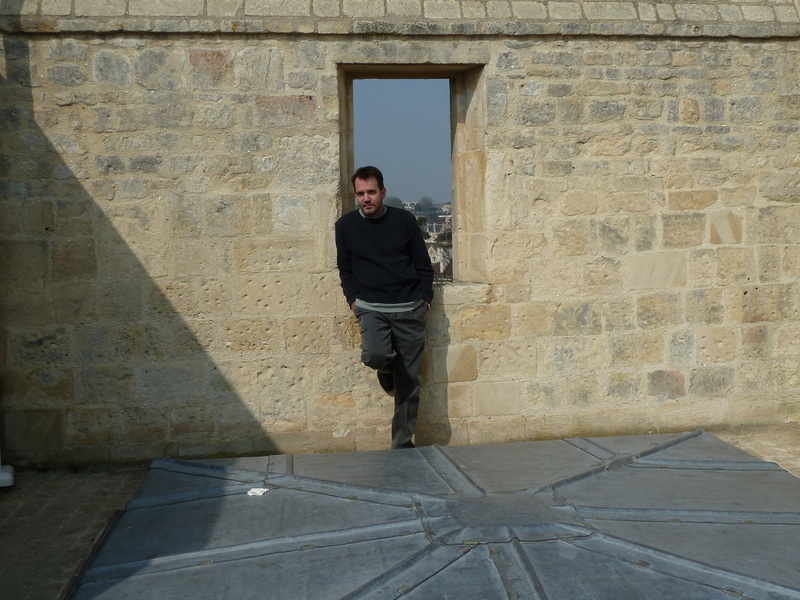 2011 Normandie - James W. Lett, Ph.D. These photographs and notes are from our Spring Break trip to Normandie at the end of March and beginning of April. 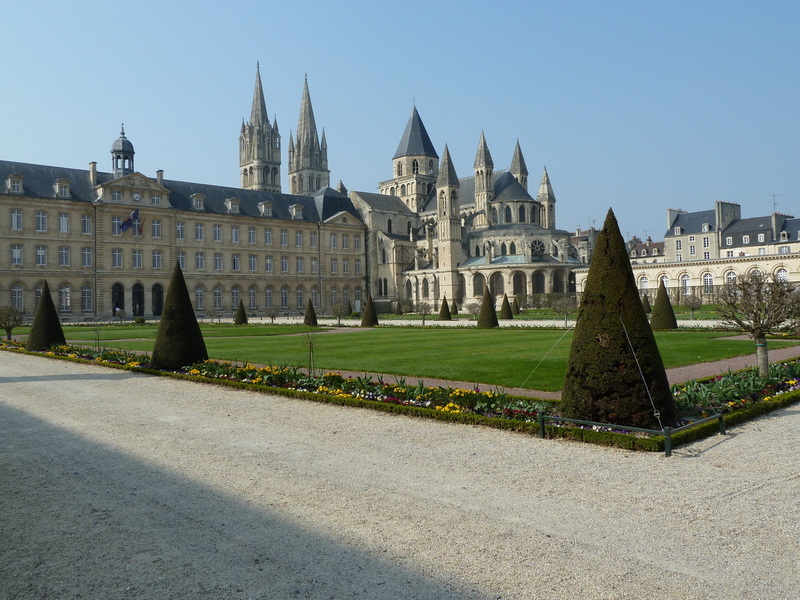 William the Conqueror built the Abbaye-aux-Hommes in Caen to appease the pope, who opposed William's marriage to his cousin Matilda. William also built the Abbaye-aux-Femmes on the other side of town, and the pope was so placated by William's generous donation that he deigned to approve the couple's union. William the Conqueror is buried in the Abbaye-aux-Hommes, and his wife Matilda is buried in the Abbaye-aux-Femmes. Presumably their god approves the arrangement. I approve the architecture. 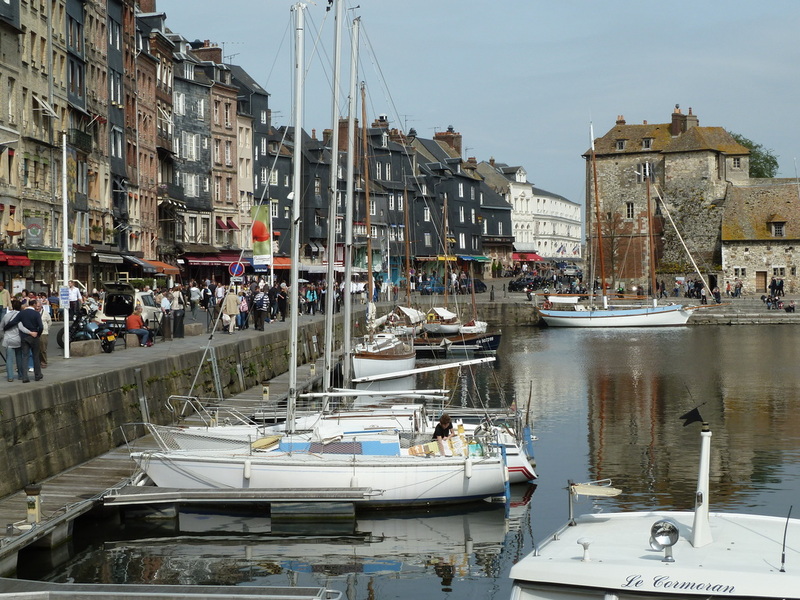 Honfleur is an ancient port town with a long maritime history stretching back to at least the 11th century. It was the focus of a continuous struggle between the French and English during the Hundred Years' War, and much later Samuel de Champlain set sail from Honfleur when he founded Quebec. Le Vieux Bassin is a small harbor in the heart of the town surrounded by shops and restaurants that's very popular with tourists and locals alike. 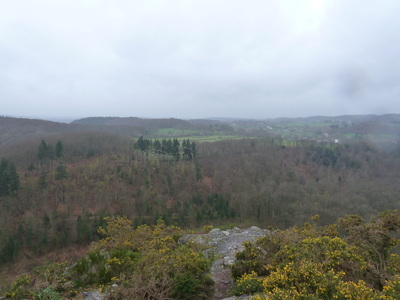 This portion of central Normandie surrounding the River Orne is exceptionally scenic. 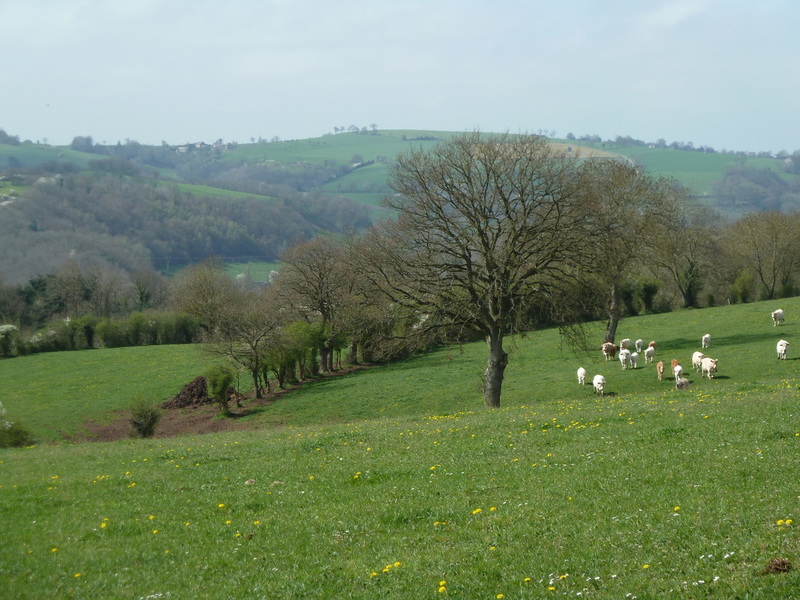 It's called "La Suisse Normande," and it features rolling hills covered by farmland interspersed with woods and picturesque villages. I'm not sure that the comparison to Switzerland is entirely apt (these are hills, after all, not mountains), but the countryside is lovely. La Roche d'Oëtre is the highest and most impressive promontory in Suisse Normande, overlooking dramatic gorges created by the River Rouvre. There was a cold mist in the air when we visited, which dampened our enthusiasm for spending much time outdoors, but there are many attractive hiking trails in the area. 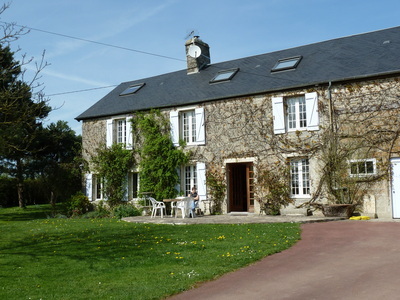 We spent the week in a 19th century stone farmhouse near the top of a hillside overlooking the valley of the River Orne (about a fifteen-minute walk from the village of Pont d'Ouilly). The weather was variable, as you would expect at the end of March and the beginning of April in Normandie: warm and sunny some days (which made it very pleasant to sit on the terrace and enjoy the view of the valley), and cool and rainy on other days (which made it very pleasant to sit in front of the fireplace). Pont d'Ouilly is one of the principal tourist centers in Suisse Normande. It straddles the River Orne, with a single bridge connecting the two halves of the village. There are a couple of boulangeries, a boucherie-charcuterie, a small super-marché, a presse, and an excellent restaurant--on the whole, it's one of the most attractive villages we've visited in Normandie. This hilltop château, which dominates the skyline of Caen, was built as a royal home for William the Conqueror. In 1204, long after William's death, it was converted into a fortress. Much of the castle has disappeared over the centuries, but impressive portions of the ramparts remain--it's still one of the largest fortified enclosures in Europe.